Are you ready for Goosebumps costumes? Of course you are! You’ve been waiting since you first started reading the Goosebumps book series in the 90s, and now you’re ready to bring the frightening world of R.L. Stine to life. You might have not known it was possible until now, but we’re happy to let you know we’ve got brand new stock of officially licensed Goosebumps costumes. When it comes to scary Halloween costumes, these are sure to be great choices! When you’re ready for a Goosebumps costume, start your shopping out right by checking out our Goosebumps Slappy Adult Costume. It’s officially licensed from Scholastica, and is a perfect representation of the dummy who first appeared in 1993’s Night of the Living Dummy. Of course, Slappy became a recurring villain in the series and is probably the most famous character from the series. So, choosing a Slappy the Dummy costume would be a great idea! 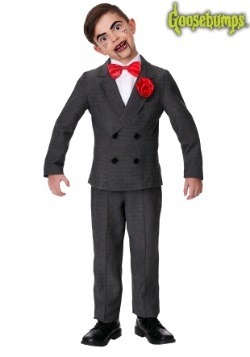 Our Slappy the Dummy costume is Made by Us, created and designed right here in our own costume studios. We studied the books carefully to get the look just right! 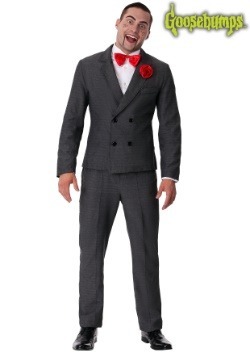 It comes with a jacket, pants, and bow tie. The jacket is the classic double-breasted style, and has an attached flower. Just what you’d expect a ventriloquist’s dummy to be wearing! You can use your own white shirt and a little bit of makeup to get the look just like we have it pictured. 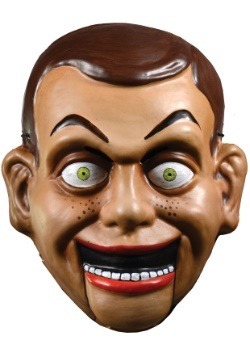 If you’d prefer a more accurate look, our Goosebumps Slappy the Dummy Adult Vacuform Mask will add the desired effect. 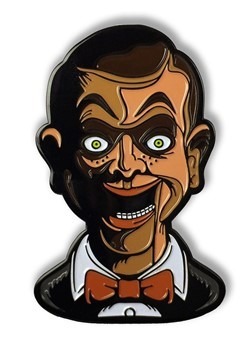 It’s officially licensed, too, and perfectly captures the dummy’s frightening face! It’s molded plastic, and features painted details like green eyes, freckles, and chin lines. 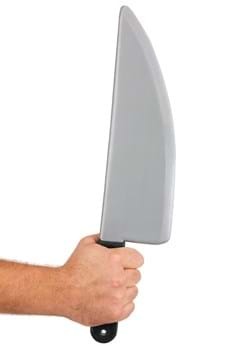 It covers the front of the face and secures around the head with an elastic band. 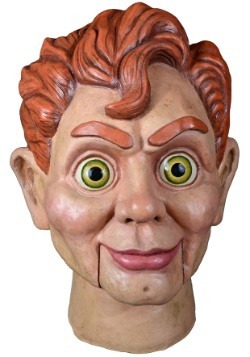 To upgrade the style even further, just choose the Goosebumps Slappy the Dummy Latex Mask. It’s molded and painted with extra detail, and covers the entire head for a total character appearance. Choosing either mask is sure to have you dressed up as one frightening villain. This is gonna be a Goosebumps haunted Halloween for sure! 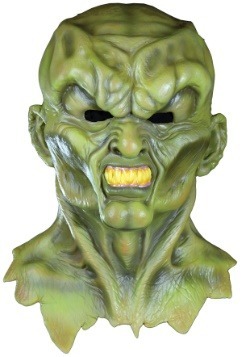 Our other iconic costume choice from the Goosebumps series is The Haunted Mask. 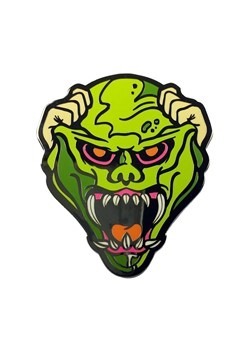 First appearing in 1993’s The Haunted Mask, this antagonist came back in The Scream of the Haunted Mask, and Goosebumps Wanted: The Haunted Mask as well. 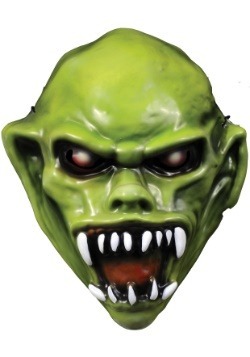 Created by a nameless shopkeeper long ago, the Haunted Mask is made of human flesh in the book, but you can be sure that ours is constructed from 100% safe latex. 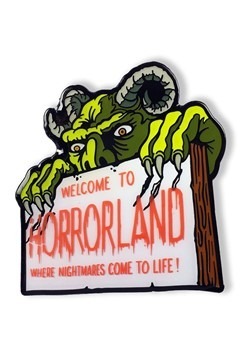 It’s green and has a monstrous appearance, just as it’s depicted in the R.L. Stine’s writing, and later in the television series. Sized to fit adults, this mask covers the entire face, and you can just wear it with regular clothes, perhaps even a pair of overalls like’s show on the cover of the original book!